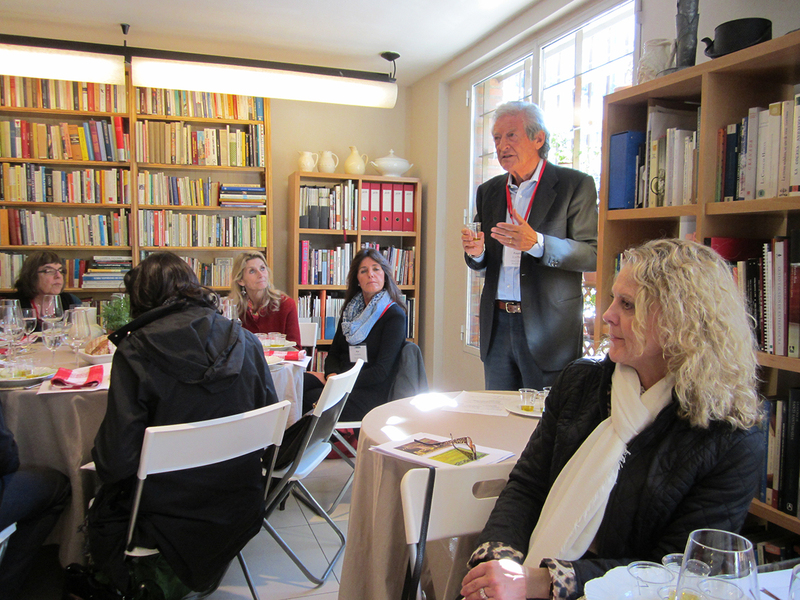 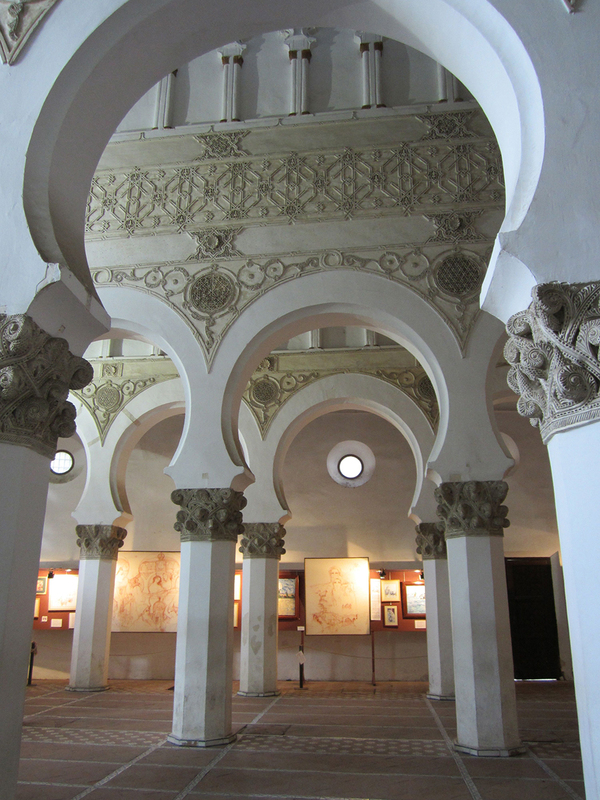 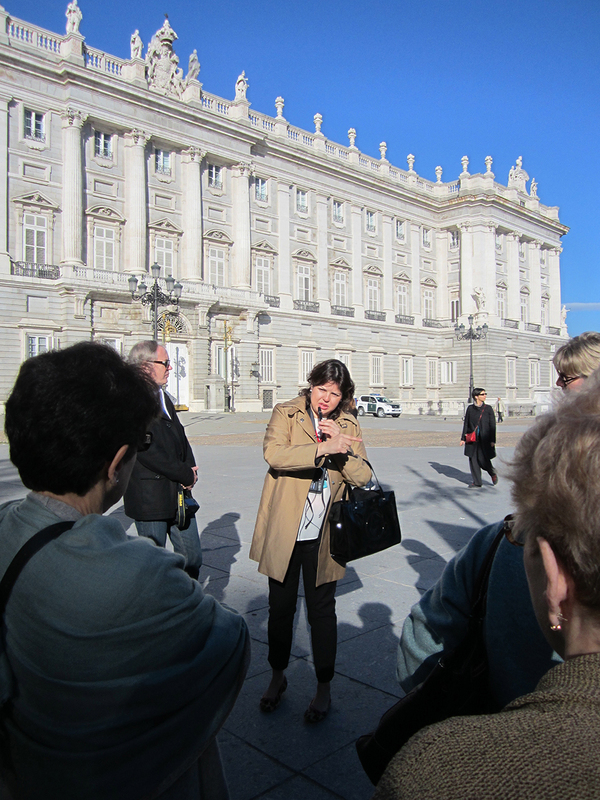 A glorious week for the culinaria in and around elegant and interesting Madrid, with excursions to El Escorial and Toledo, led by Oldways and Ronni Baer, Senior Curator of European Art at Boston’s Museum of Fine Arts. 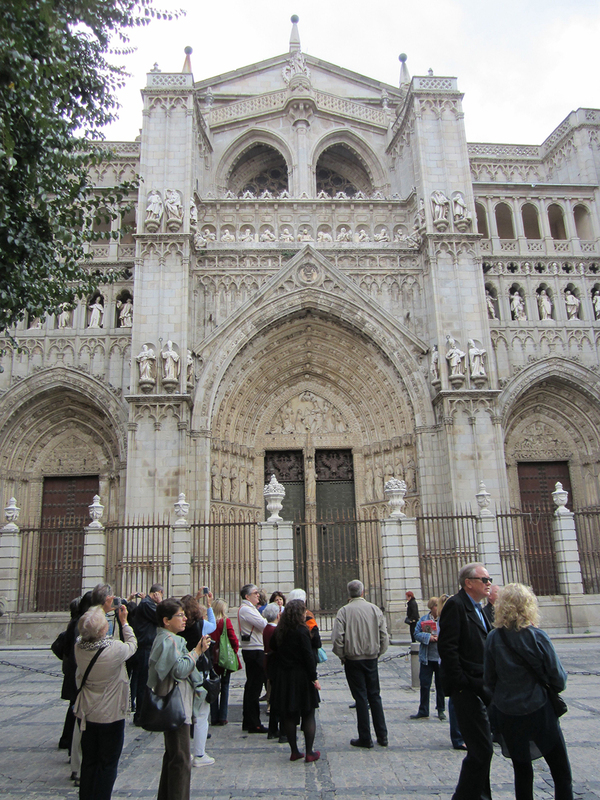 Day 1: Bienvenido a Madrid! 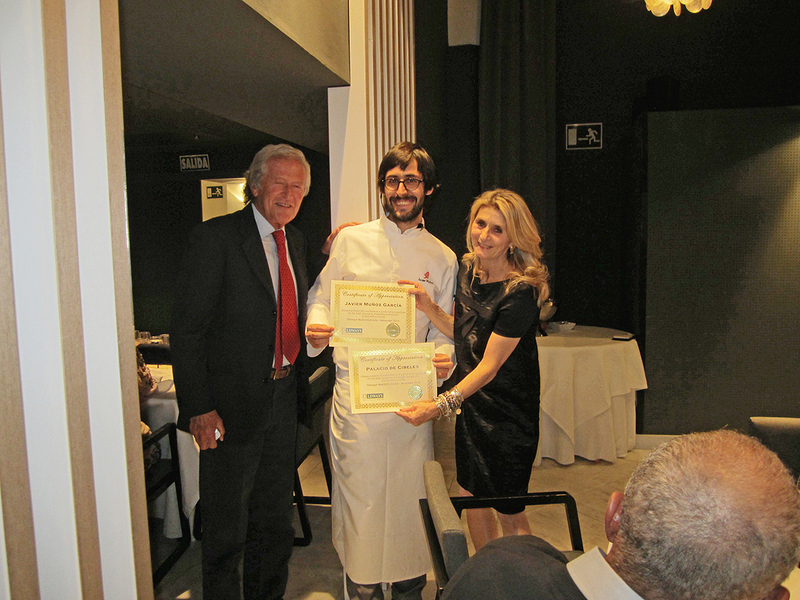 , a neighborhood restaurant specializing in the cuisine of the Basque region in the north of Spain. 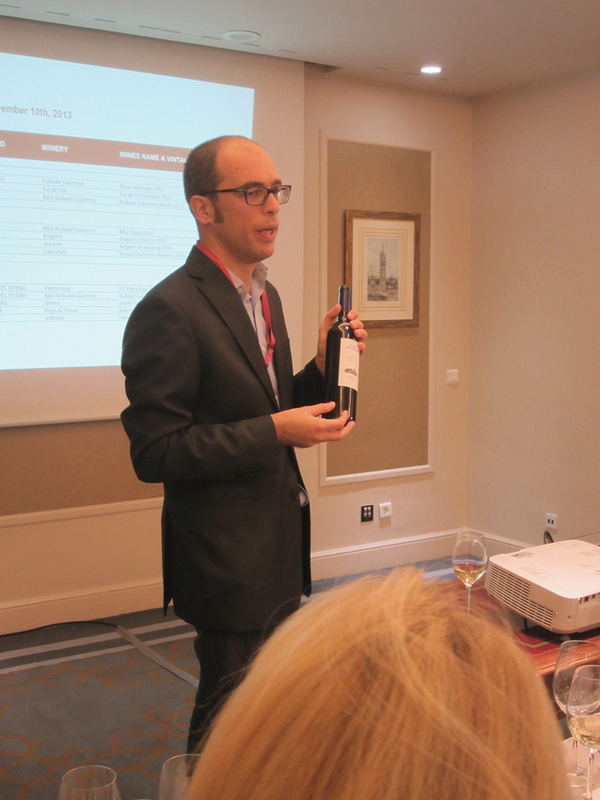 , in the epicenter of Madrid. 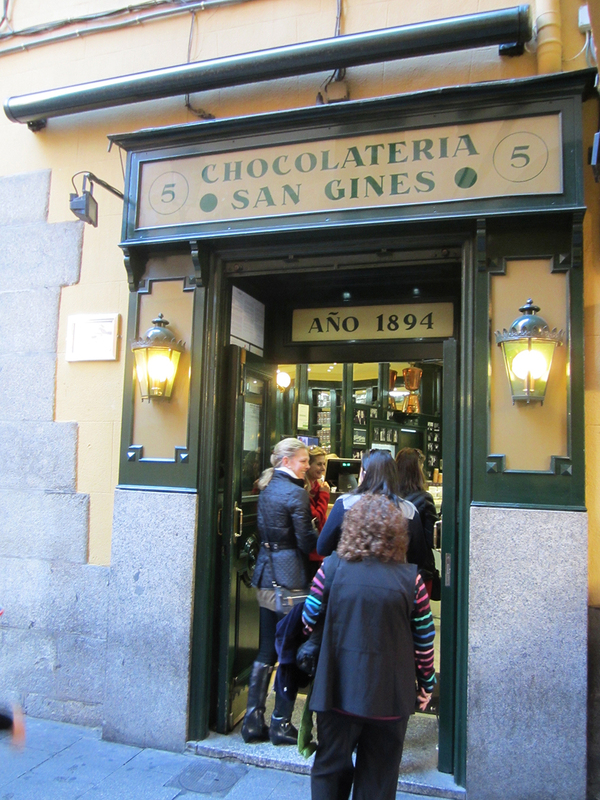 A morning break for churros and chocolate at Chocolatería de San Ginés. 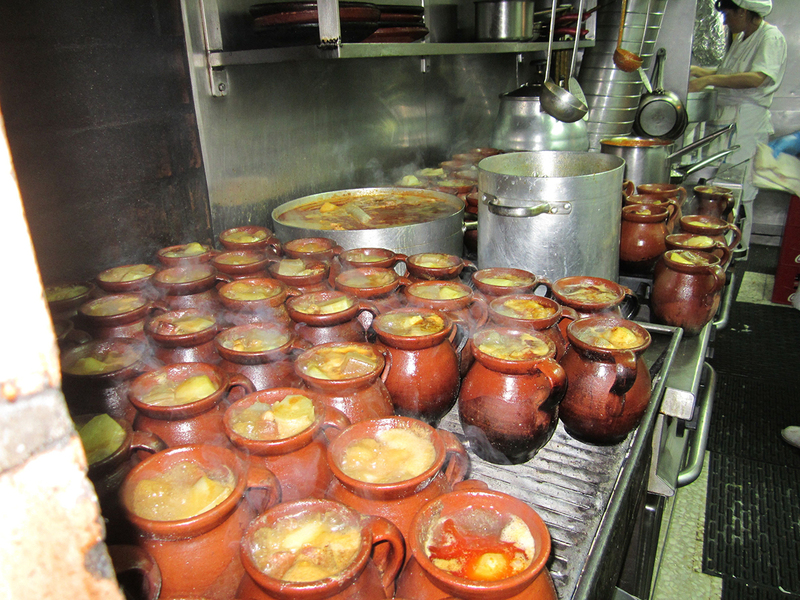 Lunch at Botin, said to be the oldest restaurant in the world (1725), very close to the Plaza Mayor in Old Madrid. 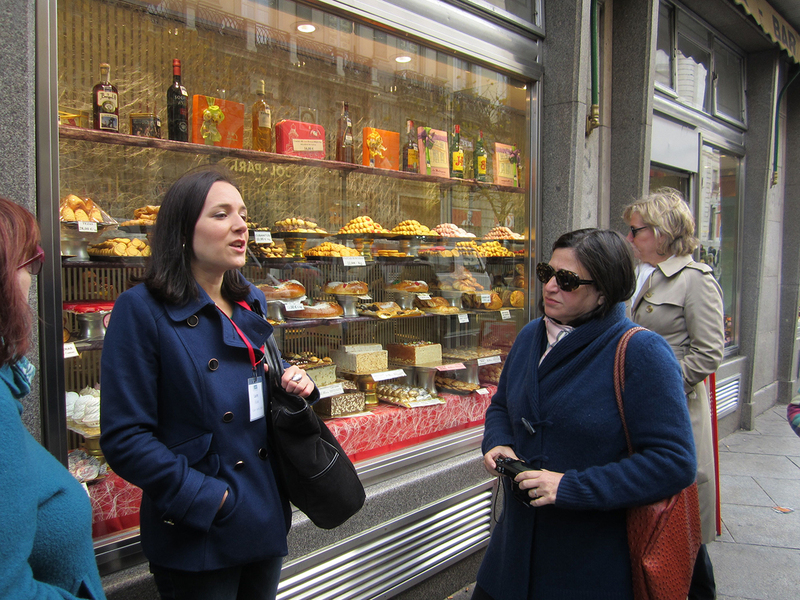 To the Mercado de San Miguel, for Spanish food specialties. 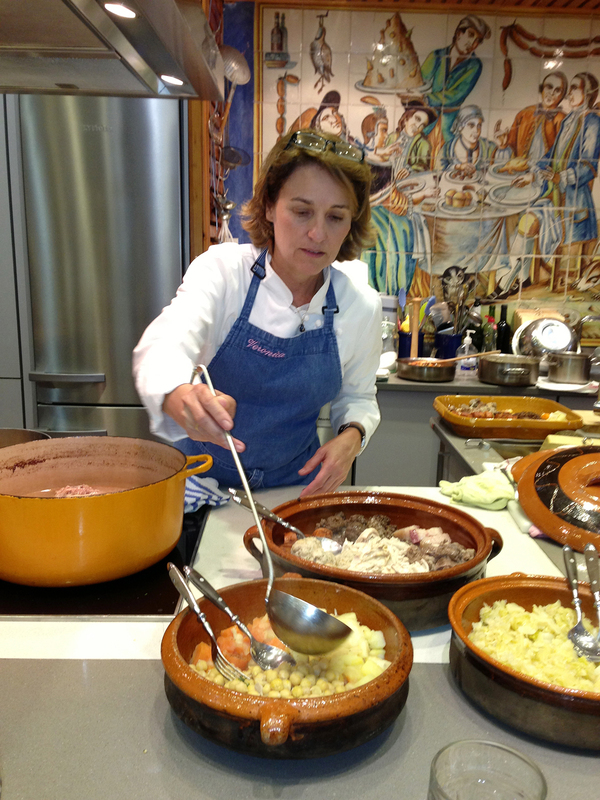 Founded in 1916, and restored and reopened in 2009, the market is the last iron-covered market in Madrid. 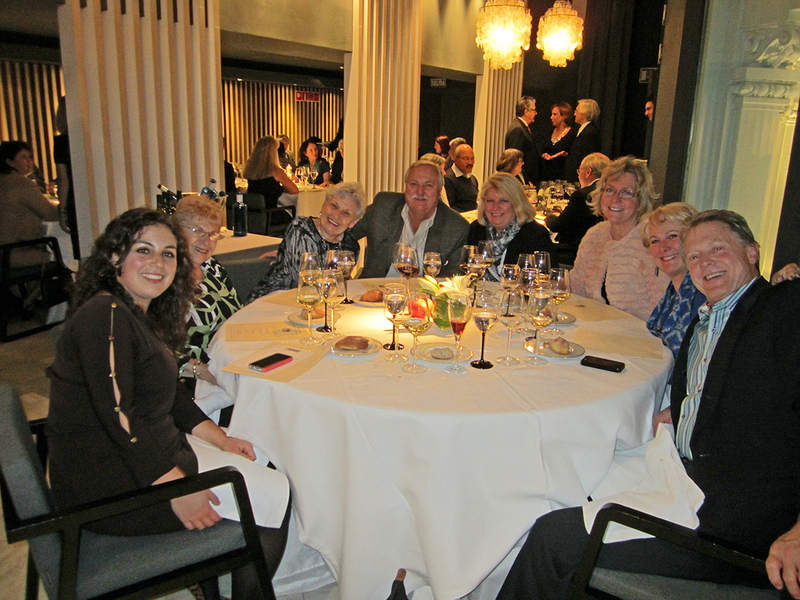 at Casa Benigna, a restaurant known for its spectacular paella. 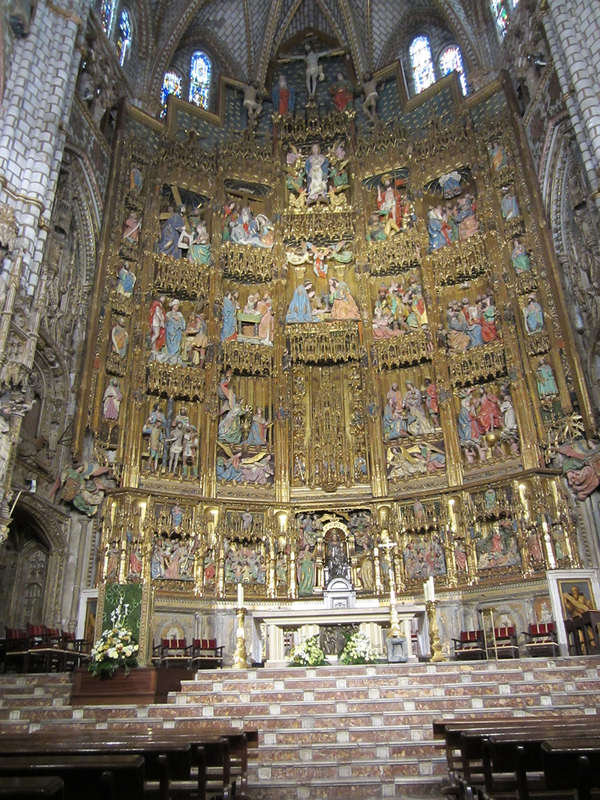 A day in Toledo, a UNESCO World Heritage city just 43 miles south of Madrid, to visit the Cathedral, the Church of Santo Tomé, the Jewish quarter, and other important sites. 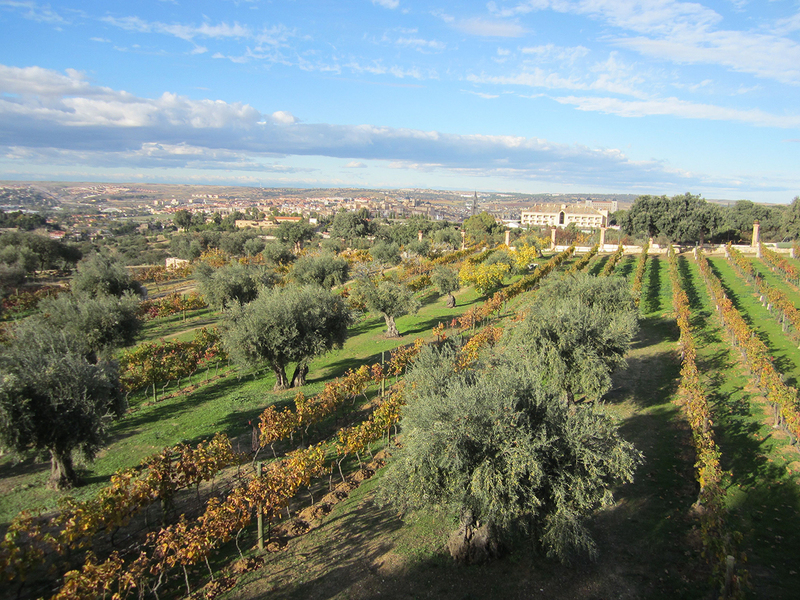 Lunch at Vinedos Cigarral Santa Maria, a restaurant and winery with a panoramic view of the city. 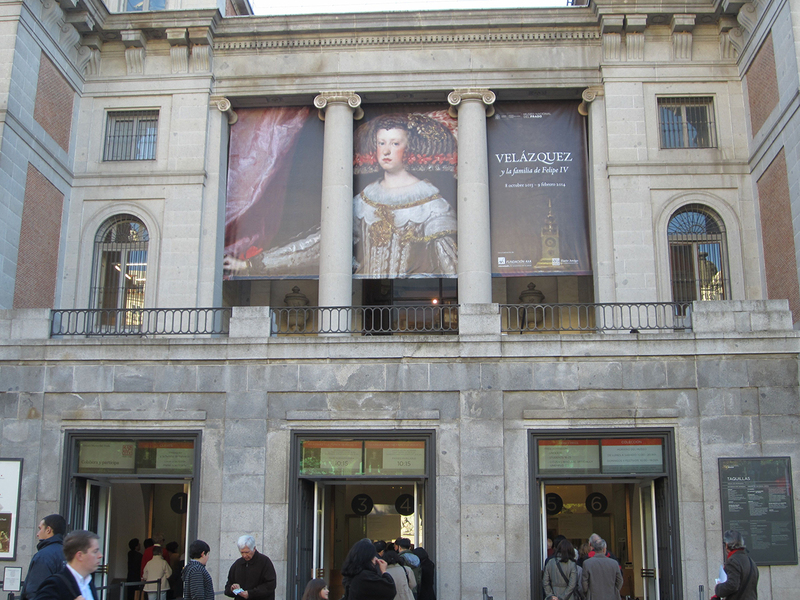 Museum of Fine Arts, Boston, curator Ronni Baer guided us through the world-famous Prado Museum, focusing on the Spanish school. 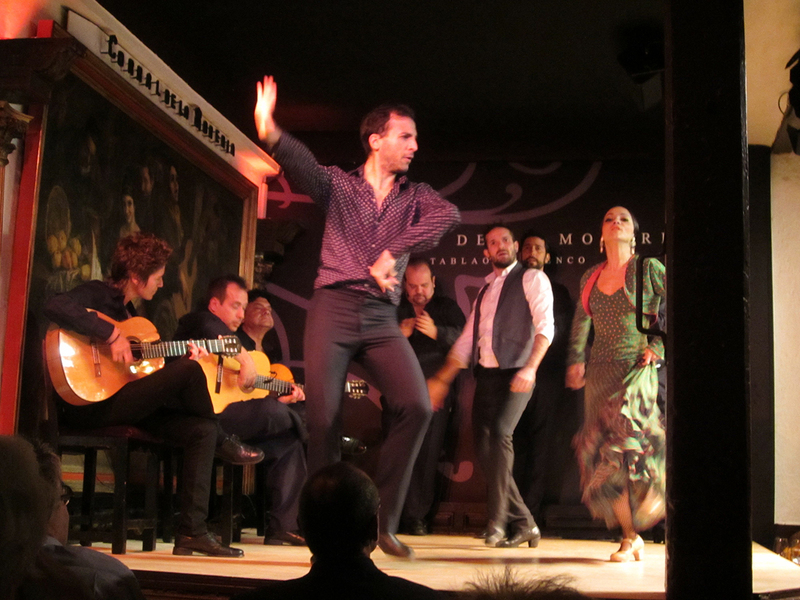 Flamenco show and dinner at Corral de la Moreria. 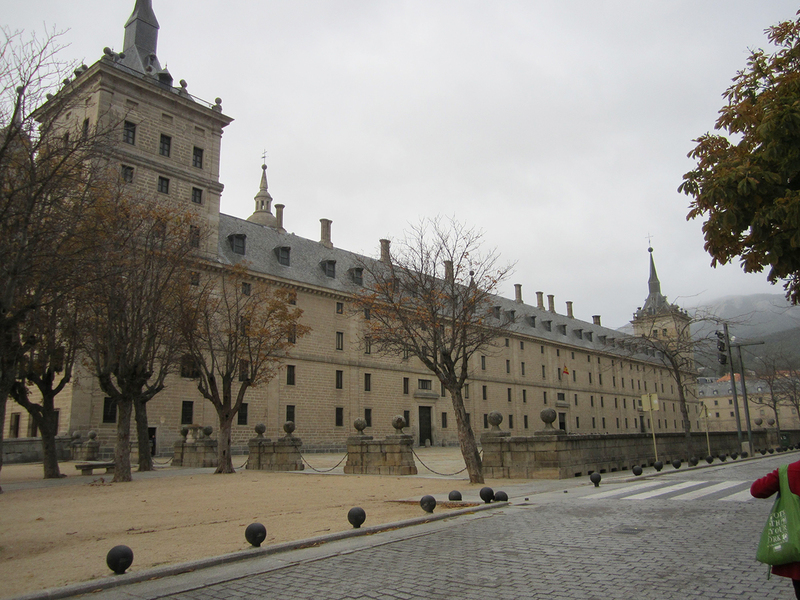 A visit to El Escorial, a second UNESCO World Heritage site, which is a monastery, museum, and royal palace known for its priceless manuscripts and great works of art. 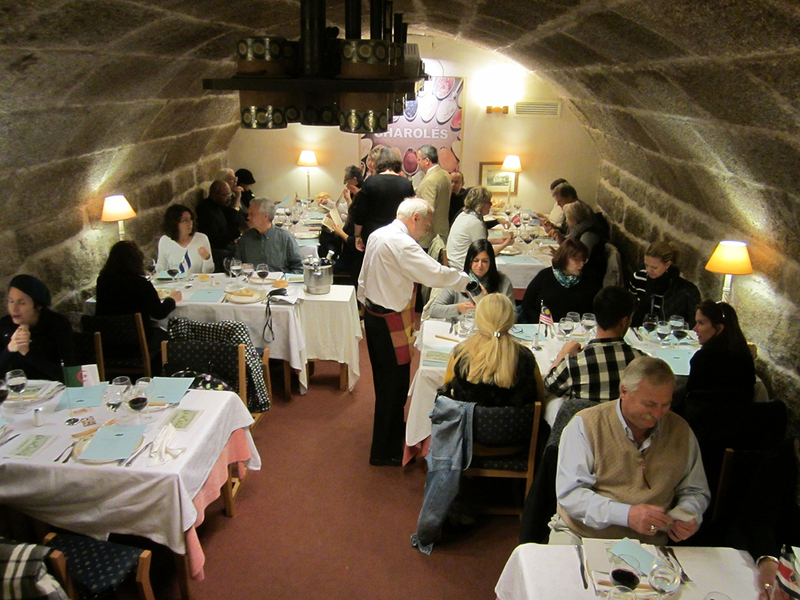 Lunch at Charoles, a restaurant in the town of San Lorenzo, just below the Monastery of El Escorial. 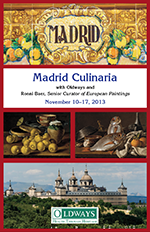 of the Old City of Madrid’s food stores, markets, and cafes, followed by lunch; 3. 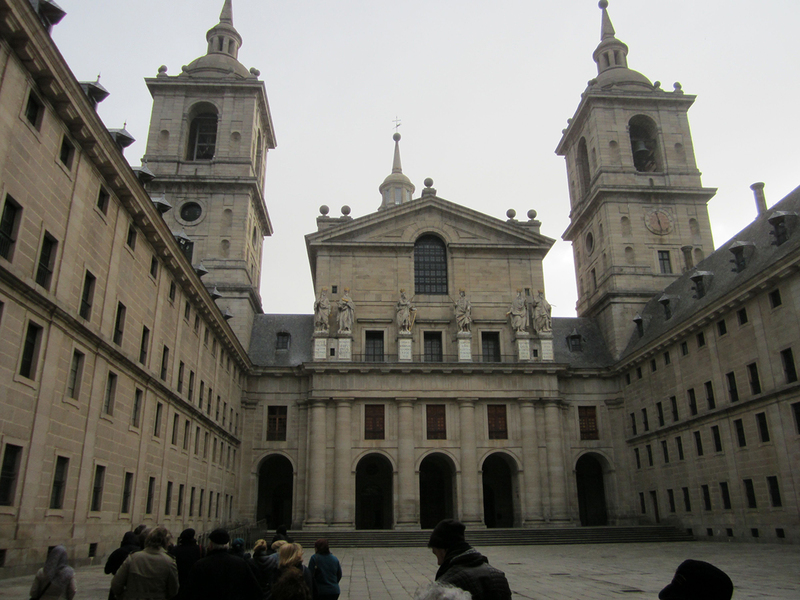 Cultural visit to the Palacio Real, the Cathedral and the Convent of Corpus Christi, followed by lunch in the Plaza Mayor at Los Galoyos. 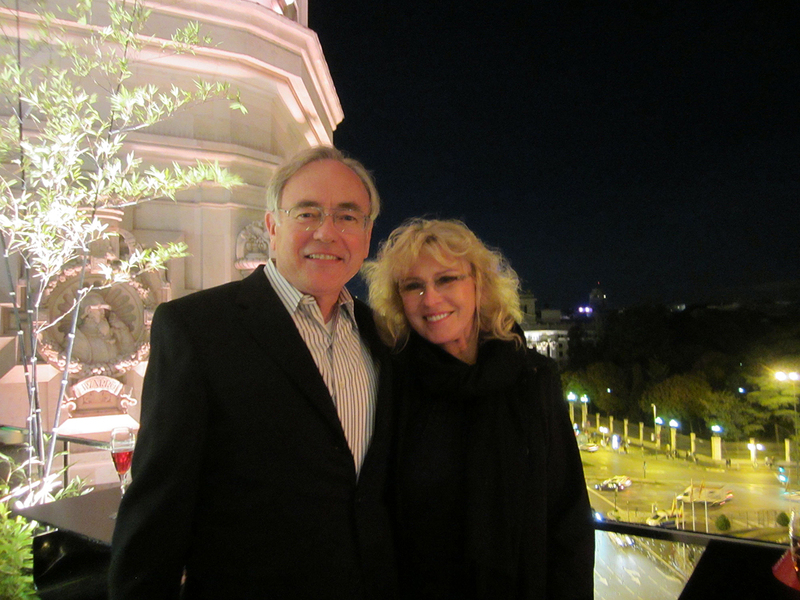 To spectacular Palacio de Cibeles (designed by Antonio Palacios as the main post oﬃce), looking out over the twinkling lights of Madrid, for our Gala Farewell Dinner at this dramatic rooftop restaurant. 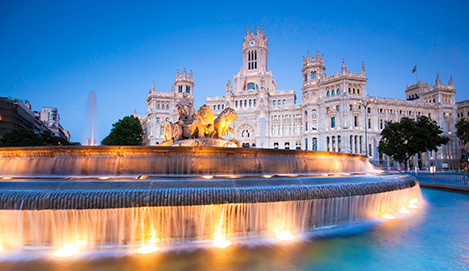 This program provides a day-by-day itinerary of the trip, information about the history, culture, food and wines of Madrid and Spain.